Looking for DIY pumpkin ideas? 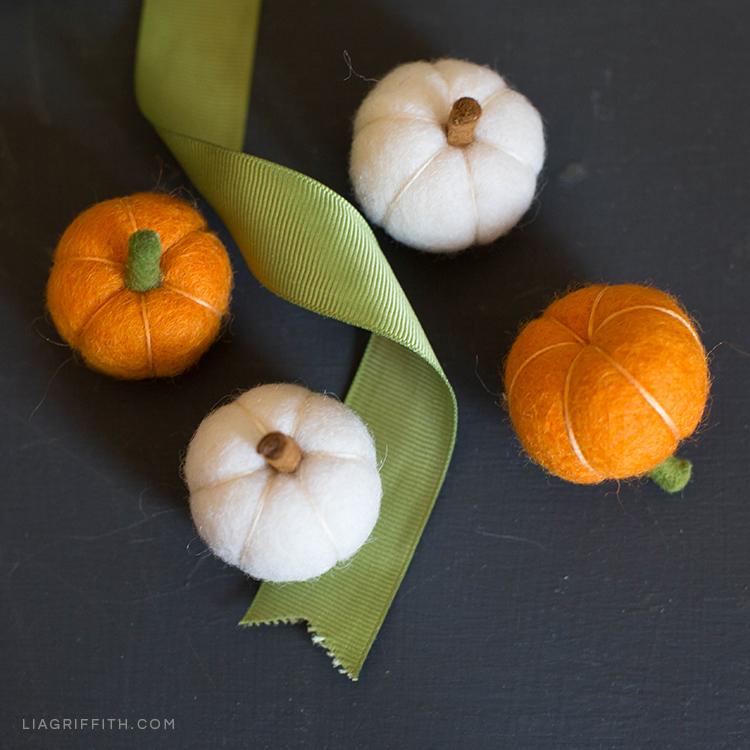 These mini felt pumpkins make great fall décor. And you can also pair them with other holiday crafts when Halloween rolls around. We just rounded up some of our popular Halloween crafts, if you need some inspiration. You’ll find the witch peg dolls in this list, too (pictured below). Ready to get started? 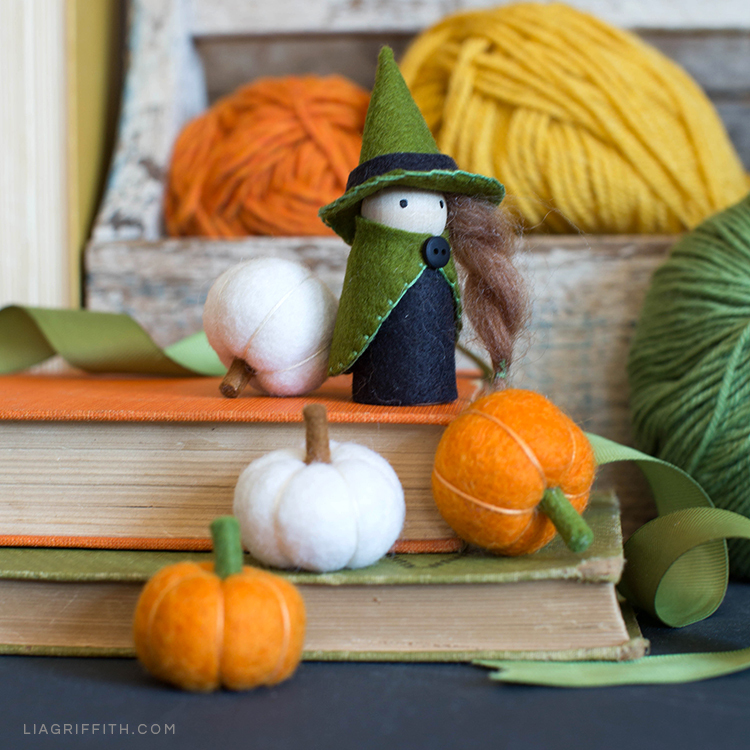 Just scroll down to see the tools and materials you’ll need to make these mini felt pumpkins. 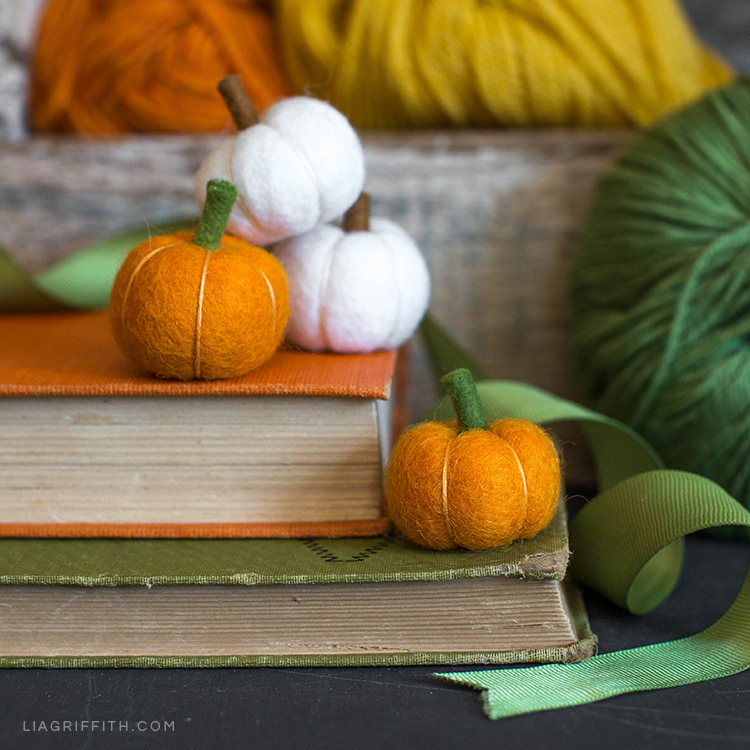 We made these mini felt pumpkins out of pom poms, felt, and embroidery floss. While we often make our own pom poms, our pom-pom maker is meant for extra small pom poms. We knew that size wouldn’t work for this project. So, this time, we used large wool pom poms in tangerine and white from Benzie Design. 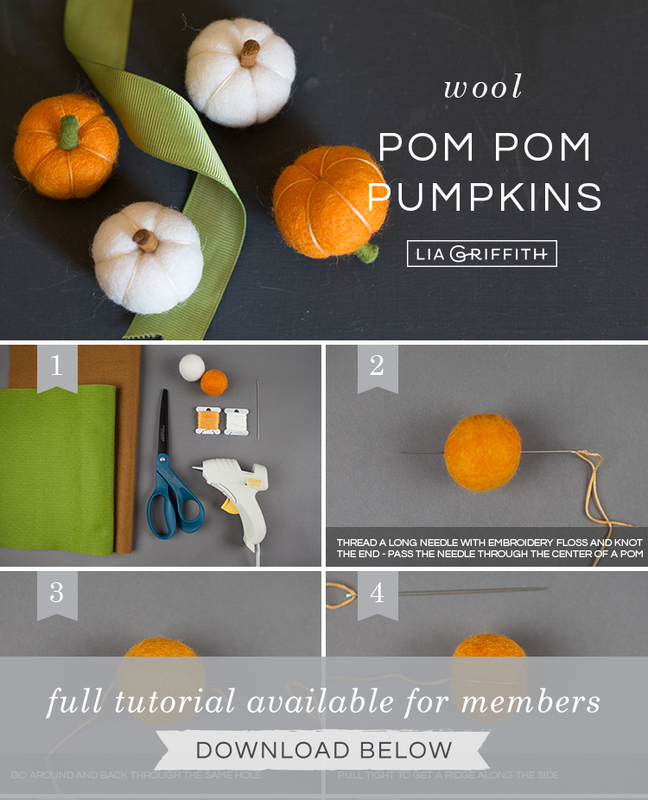 These large wool pom poms are the perfect size for making mini pumpkins! To make our DIY pumpkins look more realistic, we used embroidery floss to create lines on our pumpkins. Lastly, we used two different colors of felt to create the pumpkin stems. We love mixing up colors and creating different looks. Of course, we had to create a classic orange pumpkin. And white pumpkins too! Those have become very popular in recent years. We’ve linked to all the colors we used below, but feel free to use whatever colors you like best for your mini felt pumpkins. We always encourage you to experiment when you’re crafting! And we love seeing what you make, too. If you want to share your creations with us, just post them on your Instagram page and use the hashtag #MadeWithLia. You can also click on the hashtag to see what others are making. Want more fall decor ideas and inspiration? We’ll be sharing new fall decor DIY projects on our Instagram, Pinterest, Facebook, Twitter, and YouTube pages. So make sure to follow us on your favorite social platform! Or, join our crafting community today to access all of our DIY projects, printable patterns, and SVG files.